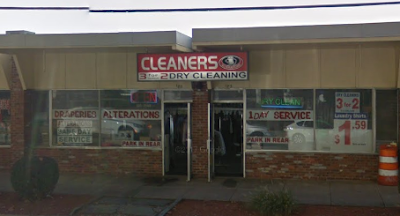 Rockville Nights: Are your clothes locked inside this shuttered Rockville dry cleaners? Are your clothes locked inside this shuttered Rockville dry cleaners? Courtesy Custom Cleaners has been evicted from their space at 180 Rollins Avenue in Rockville. Just one problem - they left customers' clothes in the store, which the landlord has now locked. Enter the Montgomery County Office of Consumer Protection. OCP has made arrangements with the landlord to get access to the shop. If your dry cleaning was in the custody of Courtesy Custom Cleaners when they were evicted, fill out this form online (also have your receipt [if possible] and a description of your clothes ready). Beginning Friday, June 2, OCP staff will retrieve items once per week, and bring them to the OCP office in Rockville, 100 Maryland Avenue, Room 330, Rockville, MD 20850. Consumers will be able to pick up their items Monday to Friday 8 a.m. to 5 p.m. Customers are asked to bring identification for all pick-ups. Unclaimed items will be donated to charity.